Why Does My Potty-Trained Dog Poop in My In-Laws House? Potty training can be surprisingly tricky business. What do you do when your pup seems to be potty trained in your house, but has accidents everywhere else? My female won’t poop inside at home but every time I take her to play with my in-laws dogs she poops in their house. Even after we’ve taken her outside. What can I do to keep her from doing this? It sounds like we’ve got a case of incomplete housetraining on our hands! 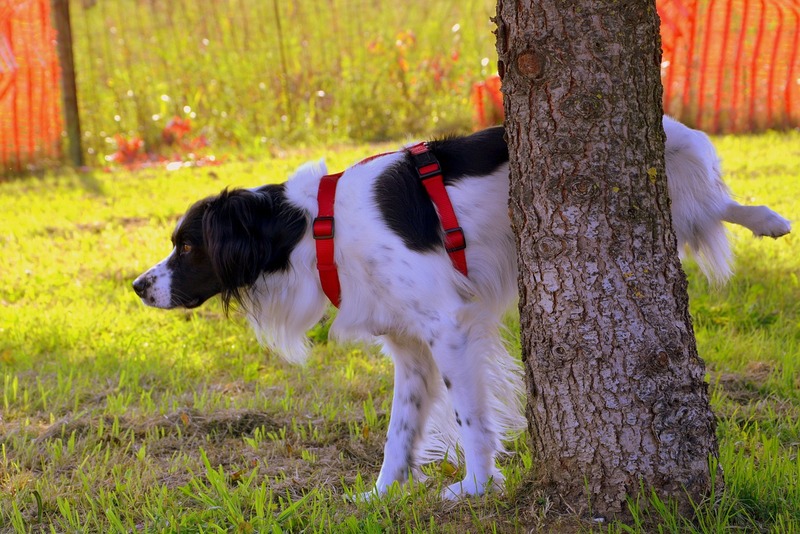 Sometimes, dogs learn not to pee or poop inside of just one area, but it doesn’t translate over to all other buildings. No offense intended, but it’s also possible that the in-laws house smelled like a dog bathroom. 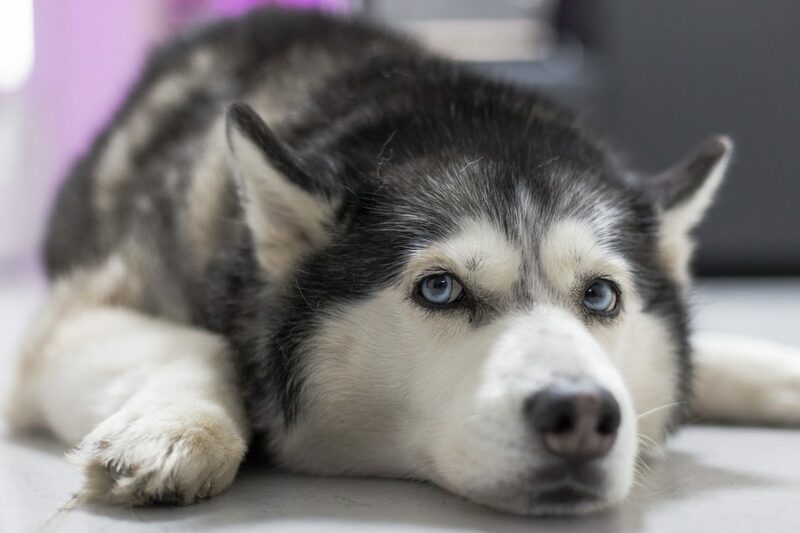 If the in-laws have ever had a dog that had accidents indoors, our writer’s Husky might have smelled that and started going indoors. This could be the case if previous tenants had a dog that had accidents as well. If the house smells like a Husky outhouse, the Husky will keep having accidents. Use Nature’s Miracle or other pet-specific cleaner. Normal household cleaners might clean up the spot and smell to human noses, but pet-specific cleaners are necessary to ensure that your dog can’t smell the bathroom anymore. 2. Use the Umbilical Training Method Indoors. Whenever you’re at the in-law’s house, keep your Husky on a short leash. I use a tether that I can attach to my belt, the couch, or doors. This allows me to keep very close watch over the dog to ensure she doesn’t go potty indoors. When you notice your dog circling, sniffing, or squatting, hurry up and get her outside! If she does have an accident indoors, don’t punish her – this just teaches her that going to the bathroom near you is a dangerous idea. Just clean up and be a bit more watchful next time. Take your dog outside on a regular schedule – every hour or so. Try to be boring and patient during these bathroom breaks, but encourage some walking to get things moving, if you catch my drift. If you can’t use the umbilical training method, put your Husky in an exercise pen or crate. Close doors and ensure she can’t sneak off. 3. Reward Heavily for Outdoor Bathroom Breaks. When your Husky does go potty outdoors, reward heavily for that. I like to trade pork for potty. If you’re not paying her well for going to the bathroom outdoors, she can’t know that that’s the goal! Incomplete potty training is pretty common. If you treat each problematic area like normal potty training and start from scratch, though, you’ll quickly see success. Why Does My Dog Keep Peeing on the Carpet?